The originator of ‘Dirty House’ Vato Gonzalez has returned with another smash this month, once again collaborating with some of the UK’s hottest Hip Hop & Grime artists to create a hell for leather belter. 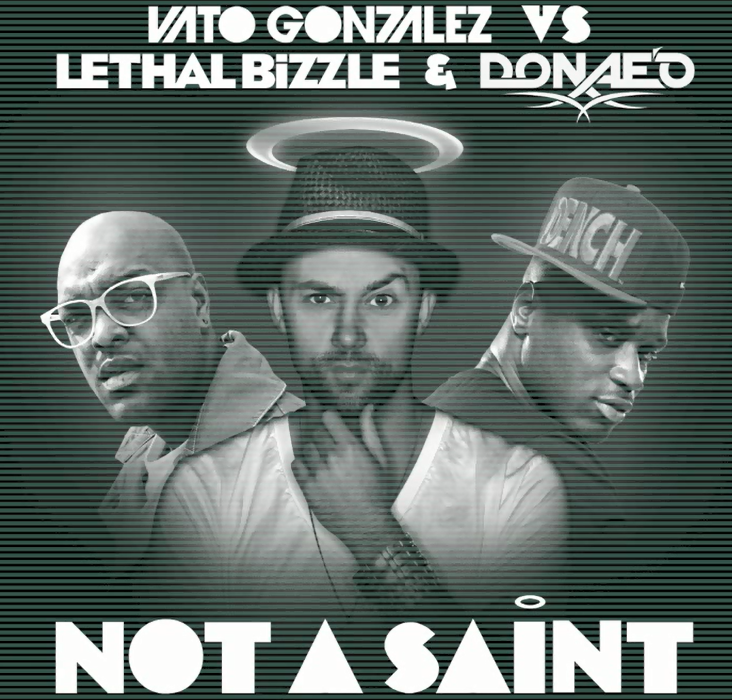 After the success of ‘Badman Riddim‘ with the mighty Foreign Beggars in 2011, Vato hooks up with Mr Dench himself, Lethal Bizzle, and Hip Hop crooner Donae’o on new track ‘Not A Saint‘. No stranger to creating dancefloor smashes, Vato does not disappoint, sticking true to his ‘Dirty House’ manifesto, this track will have you jumping, boucning & skanking in all number of shapes and fahions. Bizzle & Donae’o accompany the track with a flawless vocal delivery in their usual recognisable style. No release date penned in for this just yet, but we’ll be sure to keep you posted when we hear more!